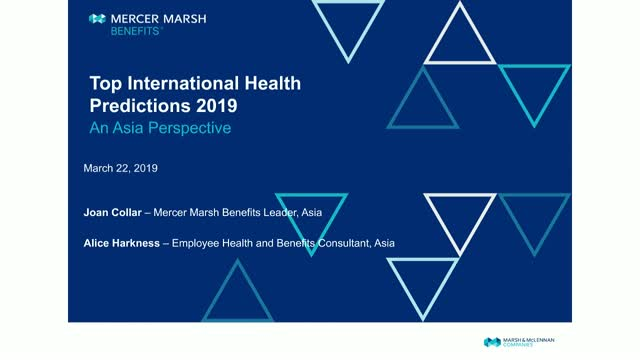 Mercer Marsh Benefits' International Health Predictions provide insight into ten areas of potential change in the 2019 health landscape. - Which of these predictions are most relevant in Asia. - How employers should consider them when designing and delivering employee health and benefits programs. - Solutions to help employers navigate these changes.